The John B Blog: Photos from Murmansk on Friday! 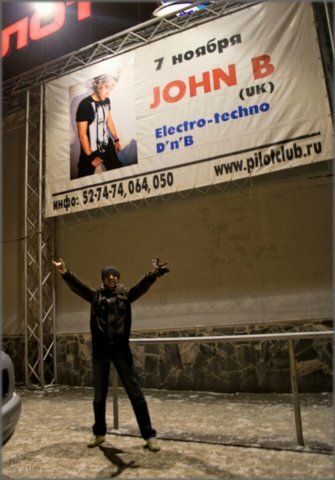 Here's a new photoset from the John B gig last weekend in Murmansk, Russia. John had a seriously heavy weekend, flying out of London early on Friday, and not getting to sleep in a proper hotel bed until about 4am on Sunday morning after the 2nd gig the other side of the country in Novosibirsk, Siberia! Murmansk is a 2 hour flight North of Moscow, right on the coast, really close to Finland - and used to have the biggest Submarine base over there during the cold war. Its also very cold there in November! Thanks to the guys on vKontakte.ru who sent the pics over! If you want to see the whole photo set just head over to John B's flickr page. You can check them out as a slideshow by clicking here.